LOOKING FOR A BUILDER IN ABRUZZO? Are you looking for a reliable builder or contractor in Italy? Do you want to find tradesmen who are reliable and charge reasonable rates? Want to make sure they are trustworthy? Choosing a reliable builder in Italy can be a risky business, but finally you have found the right website! We have a wide experience in the project management of building works and could help to select the right builder, saving you a lot of efforts, time and money. 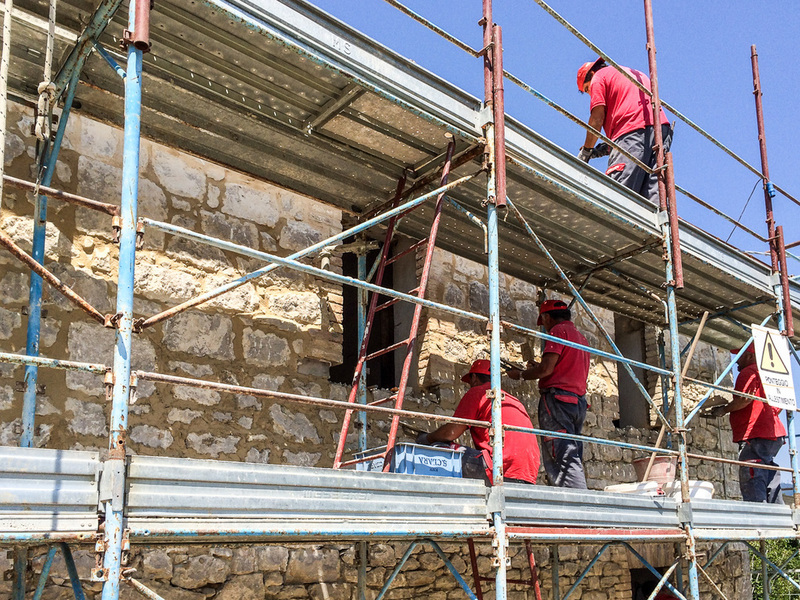 Our knowledge of the local building industry and techniques will allow us to build or renovate your house in Italy easily, quickly, efficiently and in a cost-effective and stress-free way for yourself. Down in the page you can have a better idea of all the issues related to the builder selection, understanding how our support could be invaluable also for your project. OUR EXPERT ADVICE COULD SAVE YOU A LOT OF TIME AND MONEY !! The builder or general contractor is the "conductor of the orchestra". The majority of home building horror stories are a direct result of hiring a bad builder. This will result in being OVER budget and BEHIND schedule. Restoring a property or building a new home can be one of the largest single investments you may ever endure. It can also call for undue stress. Having the right builder means enjoying the process instead of running into problems that might require arbitration or attorney services. People who have bought a plot of land or a house in need of renovation - and are now ready to start creating their "dream" homes – first they have to choose the right builder. This is the single most important step in the home-building process. A great design, a stunning view, and superb finishing materials cannot compensate for shaky foundations, a skew wall or a leaky roof. Before the credit crunch, good builders were hard to find and you had to sometimes wait for up to a year before they were free to carry out work on your property. However, now with new homes being built at an all time low, they are easier to find – but that doesn’t mean you don’t have to choose your builder with care. 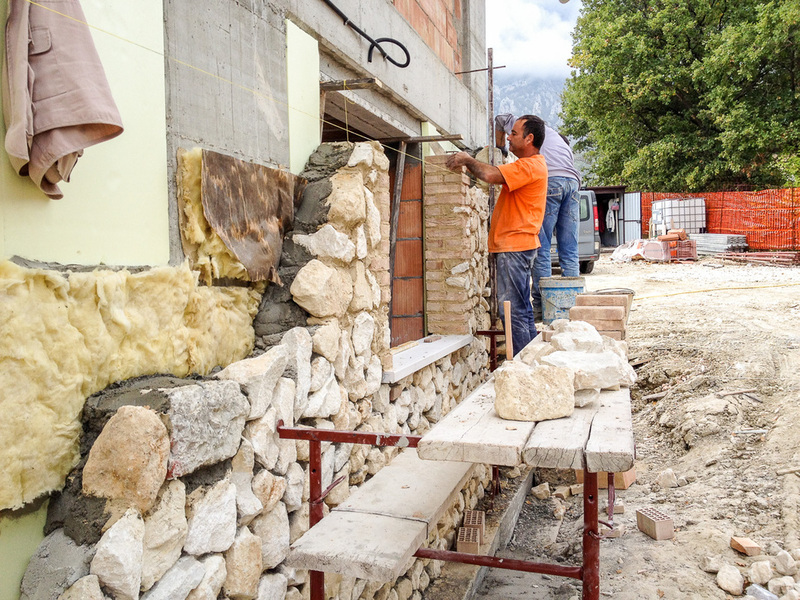 Many builders in Italy have practical experience gained as subcontractors or site supervisors for other contractors, but managerial and business skills are just as important. Delivering a home on time and on budget also requires the builder to have a reliable network of material suppliers and subcontractors built up over a number of years. The MOST IMPORTANT FACTOR in choosing a builder or general contractor is GOOD REFERENCES! However, these are not references just from the prospective builder or general contractor, these are ones we find out about on our own also. References do not just include past or current homeowners, but also sup-contractors, suppliers and bank references too. A builder is not going to list clients that there have been problems with. This is why we perform due diligence in locating several past clients. We also interview CURRENT clients that are under construction, just moved in, and in the warranty period. This give us a good basis in determining the right builder. We check the builder's track record and we are not shy to ask for references from recent clients – or to call them and ask them about their experiences both during construction and afterwards. Every new home requires some "fine tuning" and good builders attend to snags promptly and without argument. We also ask for references of any third party tradespeople the builder employs. It is crucially important in a bidding process is having a COMPLETE SET OF PLANS AND SPECIFICATIONS. The architectural plans will show the items that make up the house, such as windows, fireplaces, stairs, etc... The specifications will “specify” the technical information about these items. It will include material, grade, brand, color, etc. Specifications ALSO detail the interior finish out that is not noted on the plans such as paint, flooring, etc. After completing the specifications, we give copies along with the complete set of plans to EACH builder for a bid. All bidders should receive identical plans and specifics so you get an “apples to apples” bid. We ask builders to quote for the job in writing, signed on company paper and checking whether the work includes VAT. After receiving the bids, we analyze each bid carefully for thoroughness and completeness, comparing each bid to see if any of the bidders failed to include a budget item. We always want to clarify in details exactly what is and isn't included in a quoted building rate. We agree a payment schedule upfront, what you pay for and when. Check that the builder is correctly insured to cover both non-completion and injury on site is another important aspect of a builder selection. For example check that the builder has the right insurance cover, which includes insurance should something go wrong with the job, the builder has an accident and can’t continue, cover for materials, any third party labour. 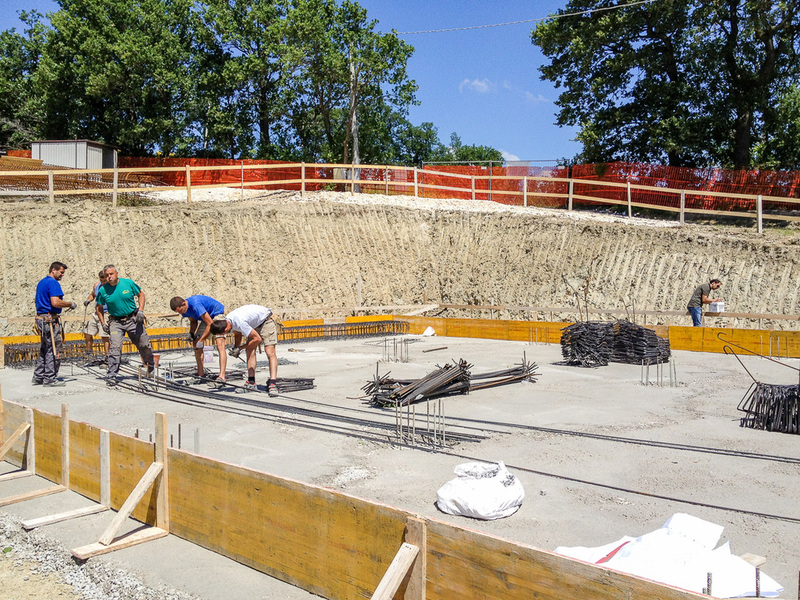 Obviously we stay involved during all the construction process, visiting the site regularly and making sure the home is inspected properly at each stage of construction. We always address problems as they occur and we don't allow the builder to make a "draw" on your building bond until we are satisfied that the work covered by that payment has been correctly completed. After every site visit we send an update on the project progress by email to our clients, including also multiple photos of the building site. Never sign off too quickly! The building contract should give you at least 30 days to notify the builder of any problems or defects not noticed during construction. In any case all the building works in Italy are covered by a 10 years guarantee against defects due to the builder fault. We will support you in the whole project from the builder selection to the site sign off. Our work will let you save time and money and keep you away from unpleasant surprises.